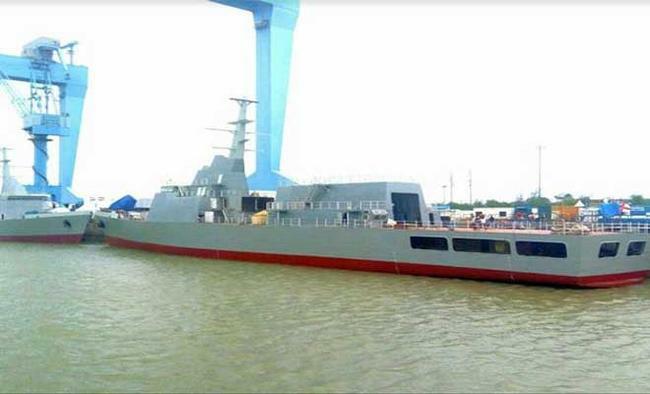 Mumbai: Reliance Group subsidiary Reliance Defence and Engineering (RDEL) on Tuesday announced the launch of its first two Naval Offshore Patrol Vessels (NOPVs) at their shipyard in Pipavav, Gujarat.The two NOPVs - 'Shachi' and 'Shruti' - are part of five ships under the P-21 project of Indian Navy being constructed by RDEL, the company said in a statement here. The five NOPVs are patrol ships armed with a 76 mm Super Rapid Gun Mount (SRGM) system along with two 30 mm AK-630 guns, which provide medium range and short range offensive and defensive capabilities, the statement said. The armament is remotely controlled through an electronic fire control system. According to RDEL, the ships are fitted with 20,000 kW diesel engine-driven propulsion systems and can deliver speeds upto 25 knots. "RDEL is the first private shipyard in India to obtain a defence production license and sign a contract for defence ships in 2011," it said. "The company is also engaged in construction of one training ship and 14 Fast Petrol Vessels (FPVs) for the Indian Cost Guard," it added.